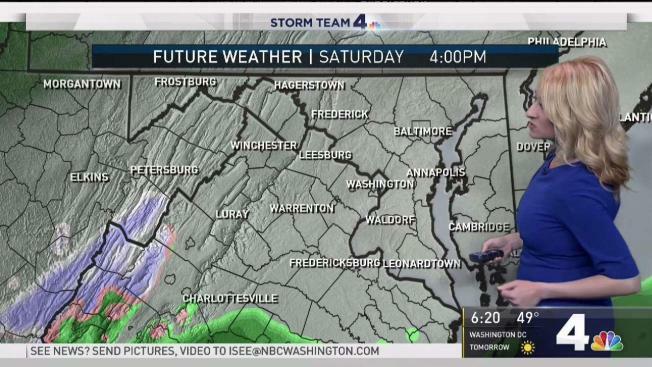 Breathe a sigh of relief: The chance for snow this weekend in the D.C. metro area is dropping -- although areas south and west of D.C. could still see some wet snow. Breezy conditions will make cool temperatures feel even colder, with wind chils in the lower 30s around DC. Expect temperatures to drop throughout the day ahead of possible below-freezing temperatures overnight. Saturday's high temperature could reach 44 degrees. There will be two chances for rain Saturday -- the first during the morning hours and the second later in the day, Storm Team4 said. Rain showers will move in overnight Friday and temperatures will fall from the 50s and 60s into the 40s by 5 a.m. Everyone has a chance for some light rain with the first wave. Another wave will move in during the late afternoon and evening hours. This second area of rain is more likely to impact just D.C. and areas to the south as areas to the north potentially stay dry. For regions getting snow, a shovel or even broom won't be necessary. No accumulation is expected, Storm Team4 said. Fredericksburg, Virginia, is more likely to see wet snow than Frederick, Maryland, Storm Team4 said. The last time we had more than an inch of snow in April was 1924. Otherwise, Saturday will be cold, cloudy and damp. Temperatures should be in the 40s during the day -- 30 degrees colder than Friday. Sunday will be sunny and chilly. There will be a breeze, which could affect some of the cherry blossoms, but shouldn't ahve a huge impact, Storm Team4 said. 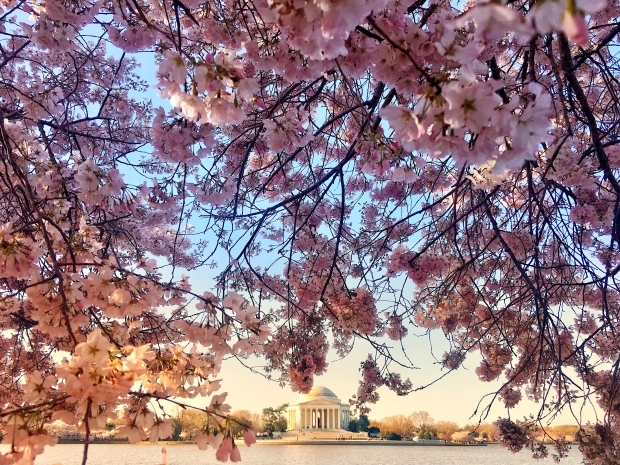 D.C.'s cherry blossoms hit peak bloom Thursday, and Petalpalooza, one of the National Cherry Blossom Festival events, is scheduled to be at the Wharf Saturday from 1 p.m. to 9:30 p.m. A fireworks show will cap off the night, weather permitting.